A House Divided; Sort Of! 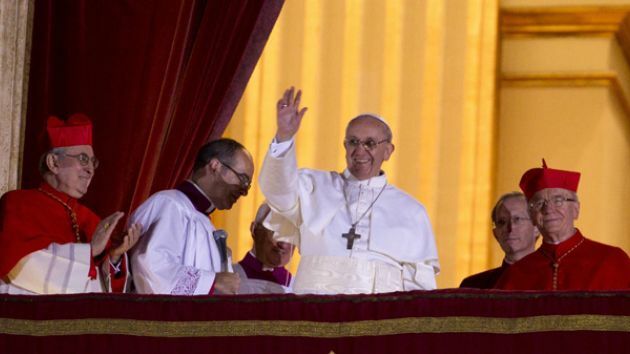 March 13, 2015, was the third anniversary of the election of Pope Francis, as the supreme head of the Roman Catholic Church. As he enters the third year of his pontificate, he appears to enjoy a great deal of support from the vast majority of the world’s Catholics. However, on the opposite sides of the theological, ecclesiastical spectrum, there is a divided opinion. When conservatives heard that the cardinals had elected a South American Pope, and a Jesuit no less; there were some who started getting a little nervous. When he came out in just the white papal cassock, throwing election night protocol to the winds, conservatives became increasingly concerned. When traditionalists heard that he was not occupying the papal quarters; saw him adopting simpler vestments, compared to the liturgical finery of his predecessor; they were up in arms! Then there were Pope Francis’ homilies, off the cuff remarks, and his actions towards reforming the Curia, the papal bureaucracy. Not taking an extreme hard line approach against those who disagreed with the Church teachings on sexual matters, abortion, and homosexuality; while at the same time, denouncing the negative effects of a freewheeling capitalist system; caused some conservative commentators to question the legitimacy of his election. Career bureaucrats in the Curia are upset over Pope Francis charges of clericalism, and cronyism in the Vatican. They see his efforts to reform the way financial affairs are handled, as a threat to their way of patronage. His intentions to introduce more laity, especially women, into the Vatican offices, are equally seen as threatening the curial lifestyle. Now on the left, many saw Pope Francis as one of them, and expected a wholesale change of Church’s teachings on women’s ordination, sexual morals, homosexuality, and on divorce and remarriage. And they were extremely disappointed when none of that happened, and with the Pope’s indications that such radical changes was unlikely to happen under his watch. There are survivors of sexual abuse by clergy who feel that this Pope has not moved fast enough to implement worldwide protections for children, or to hold any bishops accountable for covering up the clergy abuse scandal. Many are disheartened at the slow pace of the reform of the Curia. There is a feeling among left wing Catholic reformists, that Pope Francis is all fluff and no substance. Now I think the conventional wisdom is that when both extremes of a social spectrum are against you, you must be doing something right. There are many commentators in the middle, one of them being John Allen of the Boston Globe’s website Crux, who feel that Pope Francis has already achieved much. His reform of the Vatican’s financial system is in place, despite one curalist attempt to weaken it. His council of cardinals, who are advising him on how to reform the Curia, has presented suggestions that have been discussed with all of Church’s cardinals. The Synod of Bishops will convene again to discuss the status of the family in the Church and the world. And Pope Francis continues to encourage open discussion on these and other topics among the Church’s bishops. Where this will lead, no one is sure. This will be a test of whether the Pope will continue to be a collegial shepherd, or be the Supreme Pontiff, enforcing his will on the bishops. John Allen has written an interesting column on what we could see on what the third year of this pontificate might bring. Strap in folks, this could be quite a ride!